Certification from ABCERT creates trust. 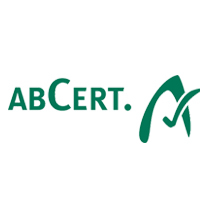 Developed by one of the first organic inspection bodies in Germany, ABCERT is an innovative provider of certification services that is synonymous with skill, reliability and independence. Over 120 skilled employees deliver efficient, flexible and prompt customer care. Successful branches in Germany, Italy and Czech Republic, many satisfied customers in Russian-speaking countries combined inspection and certification services in other organic or quality scopes (farmers associations from Bioland, Demeter, Naturland; GlobalGAP, Q&S; several regional signs) are confirmation of the specialized expertise of ABCERT inside and outside the European Union. This has brought considerable dividends. Over 12.000 customers already put their trust in certification by ABCERT, and the numbers are rising.